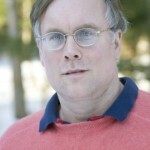 John Elder Robison talks about BE DIFFERENT: Adventures of a Free-Range Aspergian with Practical Advice for Aspergians, Misfits, Families & Teachers, Tony Sorgi discusses The New Earth Archive, and Paul Hawken talks about BLESSED UNREST, a book on The New Earth Archive list. When we first talked with John Elder Robison in 2008, he had recently come out with his memoir of living with Asperger’s Syndrome, LOOK ME IN THE EYE. With its quirky humor — revealing both the plucky nature and courage of its author — that book became a bestseller. It also has been one of the most popular interviews on the WV website. 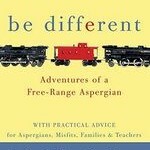 Now Robison has come out with a second book, BE DIFFERENT — a guide filled with wonderful stories offering practical advice for those with Asperger’s, their parents, co-workers and teachers. Be Different celebrates the gifts that Asperger’s brings while recounting how Robison himself overcame its disabilities to build a successful life and career. John Elder Robison was the sound advisor for the bands KISS and Pink Floyd, for whom he created their signature illuminated, fire-breathing, and rocket launching guitars. He owned and managed a specialty car repair shop, servicing Rolls Royces and Bentleys as well as other luxury vehicles. He’s also the brother of author Augusten Burroughs. What if you were a book lover and a young person who cares deeply about the planet you’re going to inherit? You might want to create a kind of archive that could also be an ark to help humans negotiate the treacherous rapids of the century’s environmental crises. 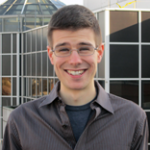 If you were engineering student Anthony Sorgi, you would found a project called The New Earth Archive and crowdsource a master list of books and other resources to be that ark. Anthony Sorgi is a student at the New Jersey Institute of Technology’s Albert Dorman Honors College, where he will graduate in May with a degree in engineering. The New Earth Archive is raising funds to build a social media platform. 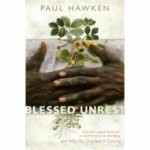 Environmental activist and green economy imagineer Paul Hawken’s book BLESSED UNREST is about the explosive growth of the global movement for social and environmental justice. Hawken is one of the stars of the environmental movement, so he gives a lot of speeches. People come up to him all the time and press their business cards into his hand — cards from a myriad of grassroots organizations trying to change the world for the better. It dawned on him that there was a huge movement made up of all these small groups and he decided to find out more about it- some one to two million. Hawken says, it’s the immune system of the planet.